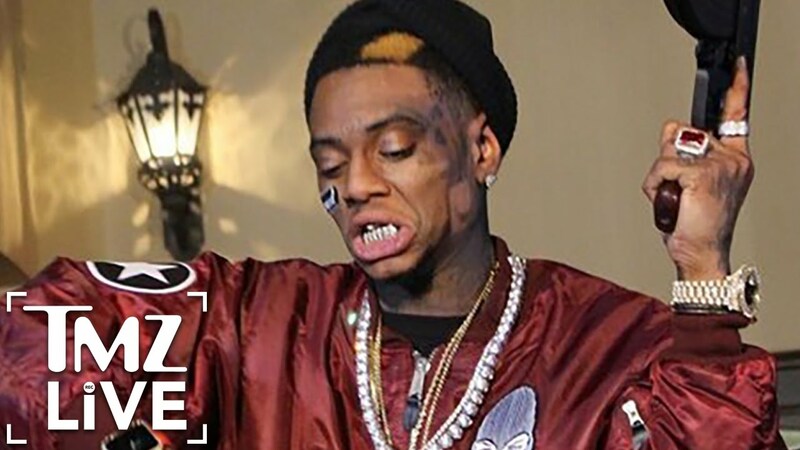 Soulja Boy just cant catch a break because as he sits in jail some fools are using his phone to go on Instagram Live and brag about breaking into is home. Soulja Boy’s worker called the cops Monday night to report a burglary . The thieves stole $500k worth of jewelry , cleaned out his safe stealing $100k! When the 5 alleged robbers heard that Soulja was booked they made their move. They’re having the time of their lives with Soulja Boy’s phone, and are hitting up his famous friends asking for features and to listen to their music. Soulja Boy probably sitting in jail sick right now! Seems like an inside job. Previous Nipsey Hussle’s Set Up A Trust Fund For His Children So His Kids Won’t Want For Nothing From Nobody! Next Kodak Black Arrested At Canadian Border & Forced To Cancel Boston Show! Still In Custody !